Garden Flat Emitter Pipes Irrigation reel can be used for all closely spaced crops. This Garden Flat Emitter Pipes Irrigation reel allows you to control how much water your plant will receive. It will reduce water consumption and increase crop quality. 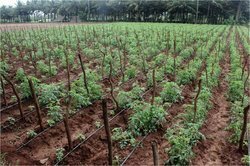 We are involved in manufacturing, exporter and supplier of an optimum quality Agriculture Drip Irrigation Plastic Watering Tape that is widely used in irrigation and agricultural sector. Manufactured using superior quality basic material and modern techniques, this drip line is precisely designed as per the direction of our professionals. Also, the offered drip line is examined on different levels of manufacturing to avoid any kind of flaw prior to dispatch at our clients' end. An excellent quality range of 16mm Irrigation system. This range of Drip Lateral Tape is known for its best quality and durability.We offer these Screen Filter Drip Lateral Tape at most affordable prices to our precious customers. 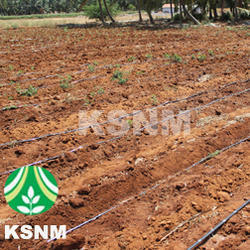 Drip Irrigation Plastic Water tube are developed from special grade virgin poly ethylene mixture. Its is Low cost drip laterals and it is seamless tubes and We also manufacture screen filters , Venturi and Connectors. 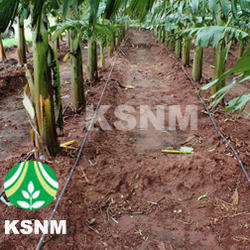 Rain Hose – Innovation From KSNM R & D – We are committed for small and marginal farmers. Our low cost drip irrigation solution removes the technology and cost entry barrier for poor farmers. Rain Hose – Its replacement for Sprinkler Irrigation System. Wall thickness – 300 micron. Hose dia – 40 mm. Roll length – 100 meters. Running length from main line – 50 meters, approximately depending upon pressure. Very easy to install. Standard PVC fittings can be used with clamp. Flow rate – Approximately 50 liter per minute. 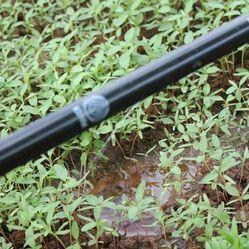 Garden drip irrigation tube are seamless tubes. We Manufacturer & Exporter of a wide range of products which include Drip Tape such as Affordable Drip Irrigation, Drip Irrigation System, Drip Lateral Tapes, Drip Lateral, Drip Tapes, Fetigation Drip Lateral Tapes and many more items. The offered Water saving drip tape are arrangement of Drip tubes that feed the root of the crop with accurate quantity of water and help in maximizing crop production without damaging the plants. 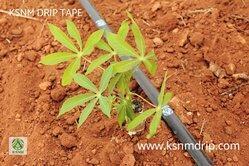 We offer these Drip Irrigation Systems at most affordable prices to our precious customers.